Description: Game of Thrones Season 8 Premiere gets a full, in-depth, scene-by-scene breakdown &amp; analysis! Thanks to Audible for sponsoring today's video. Get your free 30 day trial, one free audiobook, and 2 audible originals here! <a href="http://www.audible.com/newrockstars">http://www.audible.com/newrockstars</a> OR text "newrockstars" to 500-500!<br>What subtle details and secret symbolism did you miss in Game of Thrones Season 8 Episode 1, titled "Winterfell"? Erik Voss breaks down all the hidden meaning of the disturbing death of Ned Umber and the cryptic message from the Night King, Jon Snow learning about his real parents, and Cersei's mysterious plans. In what ways does this episode connect to the first episode of the series in 2011? Will Bronn kill Tyrion and Jaime? How much does Bran know about the future? And what does the Night King really want? Arya Stark's plans for her secret weapon in Game of Thrones Season 8 Episode 1 explained! What is it and who will she kill with it? SUBSCRIBE to our WESTEROS WEEKLY PODCAST to get all our Game of Thrones videos early:<a href="https://www.youtube.com/redirect?event=video_description&amp;v=PDMmBHgoN6Y&amp;q=https%3A%2F%2Ftinyurl.com%2Fthronespodcast&amp;redir_token=mmcNqU2RRfDc4tK919l7xBCQ8P18MTU1NTQ0MzE4M0AxNTU1MzU2Nzgz"> https://tinyurl.com/thronespodcast</a><br>Filup Molina and Erik Voss explain with in-depth analysis what Arya’s plans are for the special weapon Gendry is making her. Is it intended to kill white walkers, humans, dragons, or ALL OF THE ABOVE? Season 8 Episode 1 also had plenty of surprises - Cersei hookups, dragon riding lessons, selling out your Lannister friends for money, a boy turned into a pinwheel, Sansa butting heads with Daenerys, and Bran creeping in the courtyard!Our hosts answer all of your questions about the episode from Twitter and from social media app Stardust. They also break down the POWER RANKINGS and after watching the Season 8 Episode 2 teaser, they make their predictions for next week! Filup Molina sits down with TV journalist and podcast producer Scott Porch to talk through initial reactions to 'Winterfell,' the 'Game of Thrones' Season 8 premiere. Come back Monday afternoon for 'Westeros Weekly,' a more in-depth look at the episode and later this week for the full breakdown. 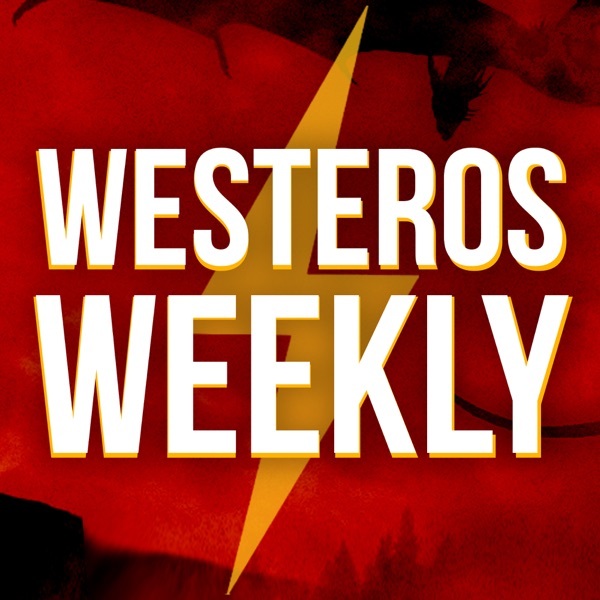 Welcome to the new season of Westeros Weekly! In this show, hosts Filup Molina and Erik Voss take YOUR biggest questions about Game of Thrones and give you their expert answers, plus general insight and theories about all things Game of Thrones.<br>This week we discuss a possible betrayal for Jon Snow, the huge impact the Golden Company is going to make in Season 8, and what makes Podrick so dang irresistible to the ladies.<br>Submit your questions via Twitter, @newrockstars, with the hashtag #WesterosWeekly, or leave them in the comments on the Himalaya app!